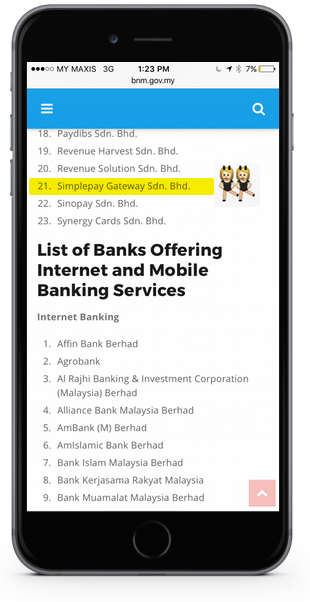 Our company that provided the “senangPay” services has been listed under the Bank Negara Portal. 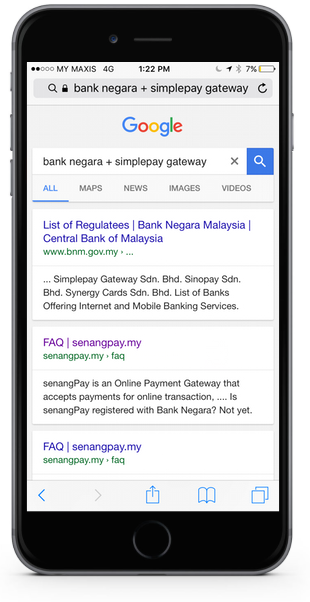 Kindly please proceed to the Bank Negara website to see the details. However, if you don’t have time for that, below are the screen shot. Please take note that the emoji is an additional touch up to show where is the position of our company name. So what is this mean?